Trams are not running between Belgard and Saggart. FIVE STOPS ON the Luas red line are closed this morning due to a signalling issue, causing disruption for commuters. Trams are not running between Belgard and Saggart with Dublin Bus accepting Luas tickets for affected passengers. Luas has apologised to passengers as a result of the disruption. The red line is operating as normal from Tallaght to the Point with the green line fully operational according the Luas operator. A number of commuters who have been waiting at some of the affected stops during peak hours have also complained about further bus delays. 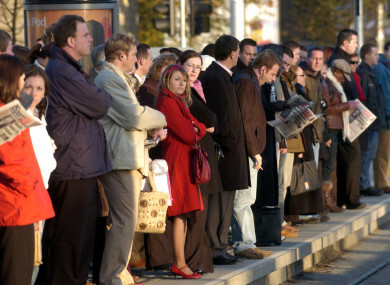 Email “Passengers vent as Luas signalling issue causes delays on morning commute”. Feedback on “Passengers vent as Luas signalling issue causes delays on morning commute”.